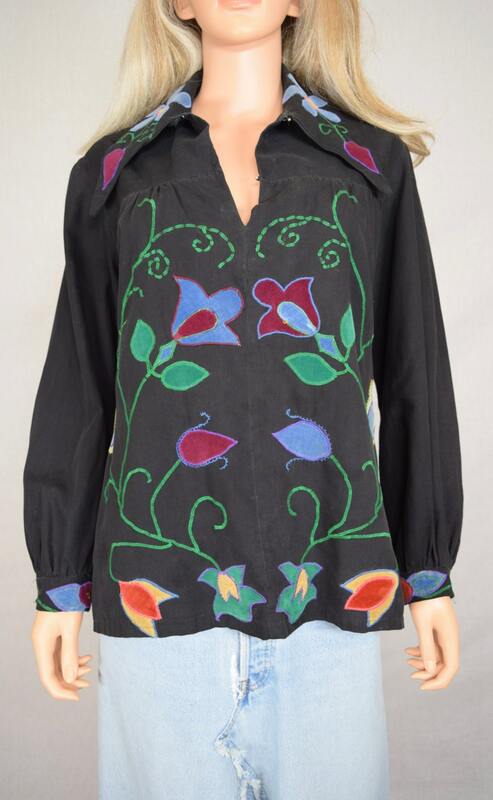 LOOKS LIKE SOMETHING HENDRIX WOULD HAVE WORN WITH A COOL VEST OVER IT. 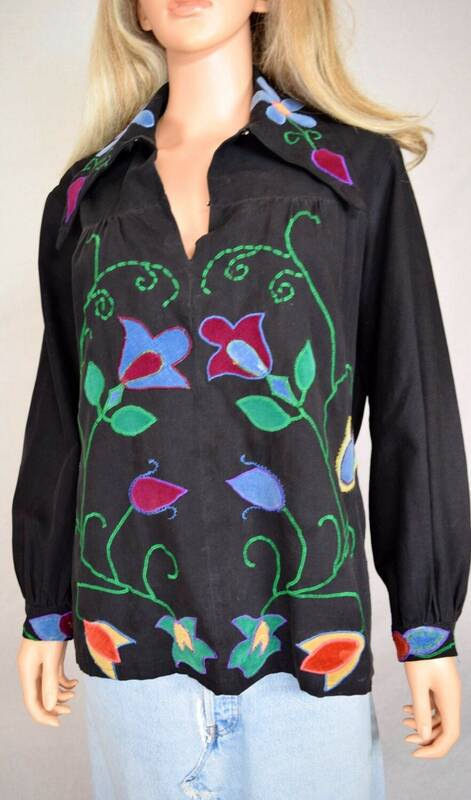 I have never seen a shirt like this before outside videos of Woodstock and music festivals in the sixties. Would look great with a fringed vest over it. Very rare find and even though it has some condition issues it only adds to the shirt in my opinion. 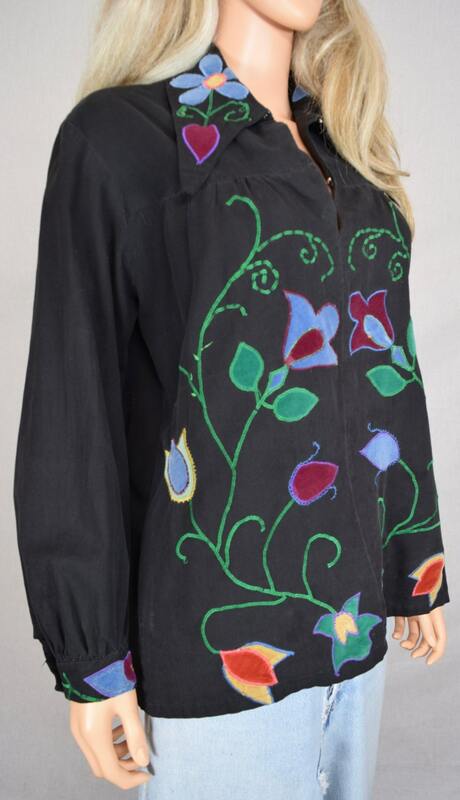 Black cotton blouse with velvet flowers appliqued on it. 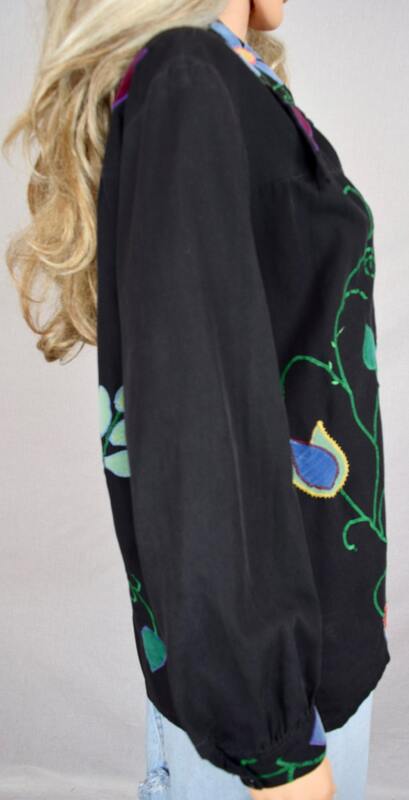 Has the appliqued embroidery on the front, back, collar, and cuffs. Two hook and eye closures at the neck. 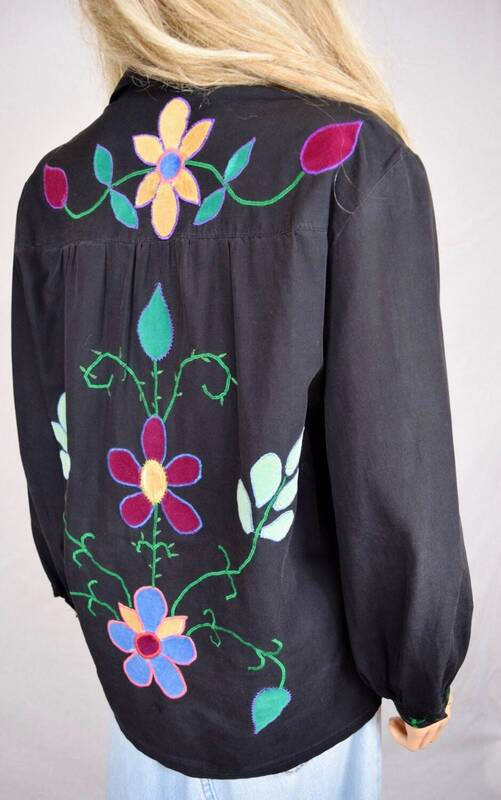 Condition: A lot of restoration was done to make the blouse wearable again. I felt the need to save this rare find. I now would rate it as very good condition with some general signs of wear and age. 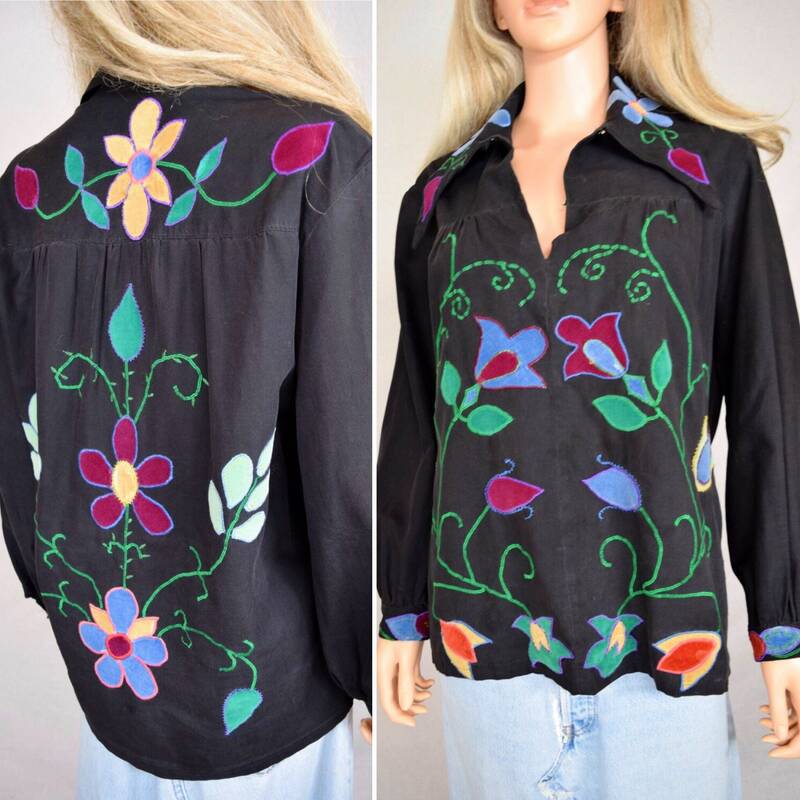 It is very hard to find women's shirts from the 60's and 70's, I had to buy this when I found it even though it needed a little TLC. Bust: 36-38" made to be worn loose or it pulls across the chest when you have it hooked at the neck.